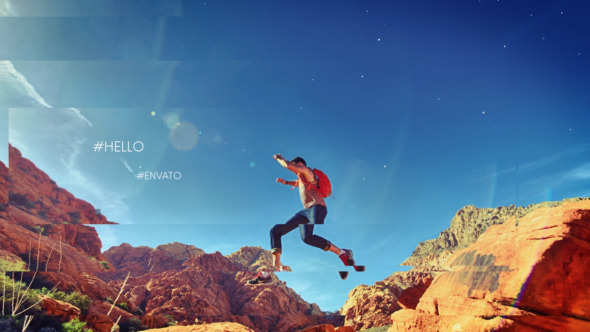 3D Slideshow is a creative and clean Photo Slideshow animation with cool parallax effect made in After Effects CS5. Please Rate when you buy . After Effects Version: CC 2015, CC 2014, CC, CS6, CS5.5, CS5; Uses Plugins: Trapcode Particular; Length: 1:45; Resolution: 1920x1080; File Size: 80.5mb; Media Placeholders: 12; Text Placeholders: 24. Blast Vortex Logo; Scary Halloween; Action Scene Logo; Blast Logo; Weapons Transitions; Grungy Logo; Football Logo. Keywords: 3d, clean, different, elegant, frames, intro, layers, nature, opener, parallax, photos, slideshow, stylish, titles, travel.